Batchelor Isherwood Interior Design is an established, approachable practice that has been creating bespoke, timeless, contemporary interiors since 1995. BIID has featured in the prestigious ‘Andrew Martin Design Review of the World’s Leading Designers’ and in the ‘UK House and Garden Directory of 100 Leading Designers’. BIID has completed projects in the United Kingdom, mainland Europe and Australia, and provides a comprehensive design service for residential clients. They are proud to have achieved a strong word of mouth client referral rate, and a very high incidence of repeat business and, for some clients, are now designing their third or fourth home. 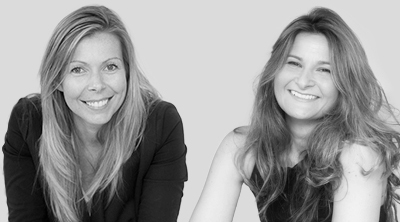 The principals of the practice, Karen Batchelor and Pip Isherwood, share a passion for design and creating luxury interiors. However, they also both have young families and, therefore, have a real practical understanding of family life, which helps when rationalising and unifying a space. BIID will always create an interior that suits their client’s lifestyle and budget. Karen and Pip believe understanding what a client wants to achieve with their home, and having a shared vision, is the key to any successful project. The client can then safely rely on BIID’s professionalism, discretion and ability to carry out that vision. Moreover, Karen and Pip endeavour to build a trusting, friendly rapport with all their clients. The approach of BIID to any project has a real focus on the initial space planning. The design style of the practice includes clean lines, understated sophistication, subtlety of colour, the layering of quality materials and attention to detail. BIID can source products from an in-depth knowledge of the marketplace, but also design and make bespoke elements that can be incorporated into an interior. The practice has built up strong relationships with reliable suppliers and contractors and has collaborated successfully with many other design disciplines, including architects and structural engineers. Any interior can also include clients’ sentimental or precious pieces.